Description: Kum Nye is the art of developing balance, leading to integration of body and mind in all our activities. We become healthy and our lives function smoothly. Exercises 44, 77, 57, 22. Exercises 1, 15, 19, 16, 57. Exercises 14, 8, 6, 7. Exercises 20, 25, 54, 62, 58. Exercises 72, 52, 103, 46, 79, 35, 29, 59, 60. Exercises 110, 92, 55, 66, 75, 107. Description: Within every feeling or sensation there is the same pure energy - both "negative" and "positive" emotions are flexible manifestations of energy. Only on the surface level do negative and positive, sadness and happiness exist. Readings and exercises from the boos Kum Nye Relaxation (Dharma Publishing) Within every feeling or sensation there is the same pure energy - both "negative" and "positive" emotions are flexible manifestations of energy. Only on the surface level do negative and positive, sadness and happiness exist. Exercises 68, 69, 14, 26, 85, 37, 87. 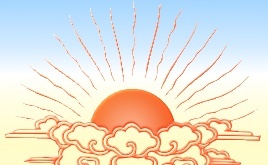 Description: CDs: Introduction to Kum Nye - CD, The Art of Developing Balance - CD 2, Integrating Body and Mind - CD 3, Living Life in the Breath - CD 4, Developing Wholeness of Energy - CD 5, Tools for Transformation - CD 6, Healing the Four Energy Centers - CD 7, Stimulating and Transforming Energies - CD 8, Morning and Evening Practices - CD 9,Transforming Negative Energies - CD 10.